After five years spearheading the McMaster swimming team, Olivvya Chow has swum her last collegiate competition for the McMaster Marauders. Initially coming to Mac from thousands of kilometres away, Chow quickly felt like she belonged on campus. A mainstay of the Marauder swimming team and a strong presence in the national swimming circuit, Chow can hang up her swim cap after another strong and successful season filled with medals. As one of the more tenured members of the program, Chow has settled into more of a leadership role due to the large amount of incoming rookies. One notable rookie to immediately make a splash across the country was Isabelle Lei, who set records and earned a lot of hardware in her own right. In addition to being a big presence on the team, Lei is a fellow B.C. native who actually swam for the same home team as Chow. Looking back on her time with the swimming program, Chow will most fondly remember the moments and experiences outside of the pool possibly more than any moment racing. Chow is of course no stranger to the podium herself; the Surrey native once again helped the women’s swimming team collectively medal in the Ontario University Athletics tournament in early February. While bringing home four individual medals of her own, including three gold, she contributed to two relay medals as well, resulting in an overall team bronze for the second consecutive year. This is the second time the women’s team was able to reach the podium during Chow’s tenure, with last year being a defining moment in her collegiate career. Most impressively, Chow was able to etch her name into the history books once again, breaking two OUA records (both she had previously held): one in 100m breast stroke with a time of 1:08.44, and one in 50m breast stroke with a time of 31.26. 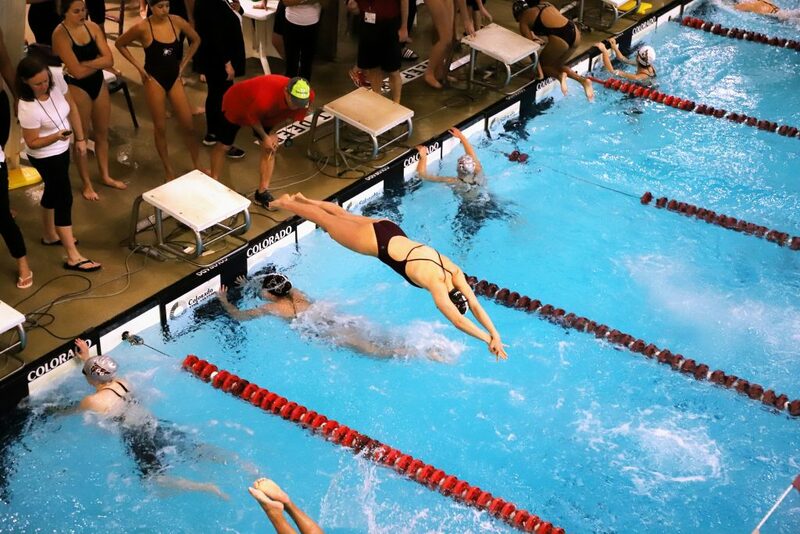 Chow took her success down to Toronto to the U Sports Championships, proving to be the top-performing Marauder at the national tournament as the only Mac swimmer to reach the podium. The French and economics major brought home a silver medal in 100m breast stoke and a bronze in the 50m breast stroke. Chow also helped the Marauders to a fourth-place finish in the 4x100m medley relay. While medals look great in trophy cases and in pictures, Chow emphasized just how strong the bond is between the swimmers at Mac. Especially in a sport that primarily consists of individual events, the Marauders’ support for one another and their team-first mentality truly sets them apart from other programs. While her time as a Marauder has officially come to a close, the impact Chow leaves on the swimming program will surely remain. It is clear in both the team’s performance and in how Chow speaks of the team that the swimming program at McMaster is truly something unique that deserves to be recognized.